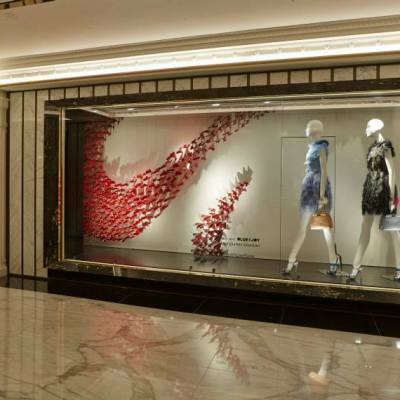 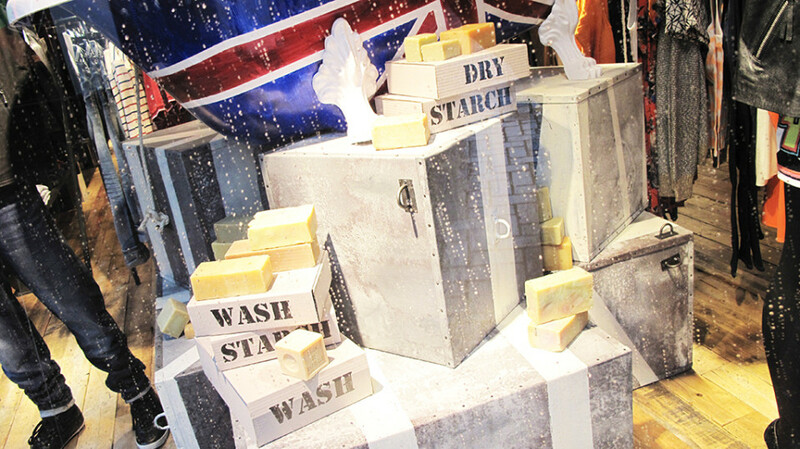 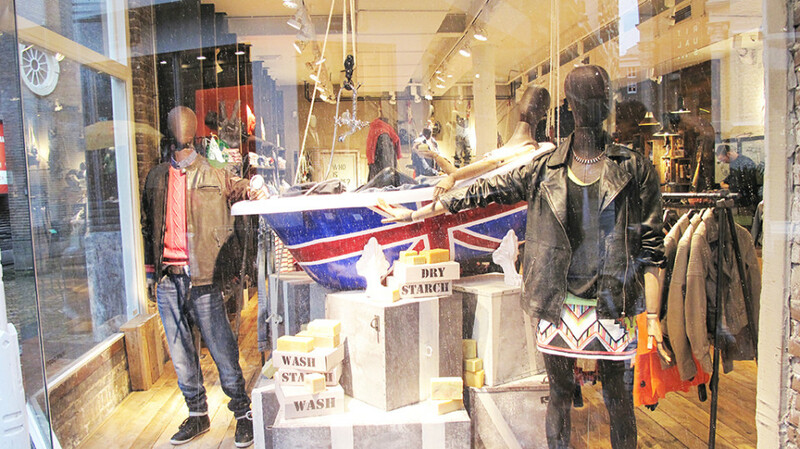 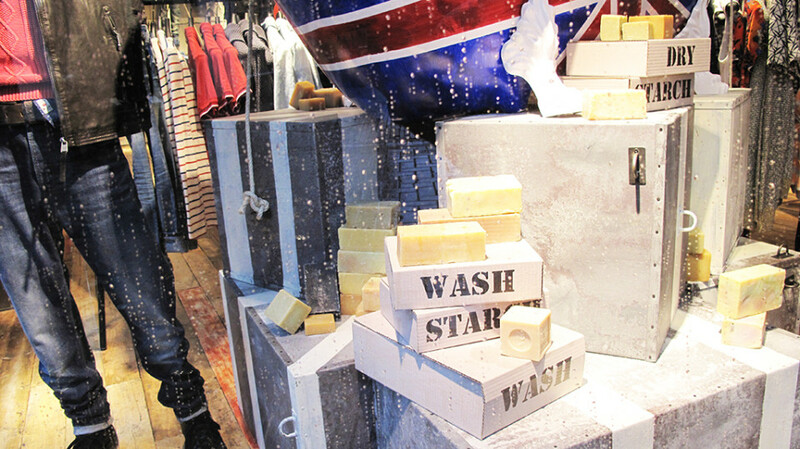 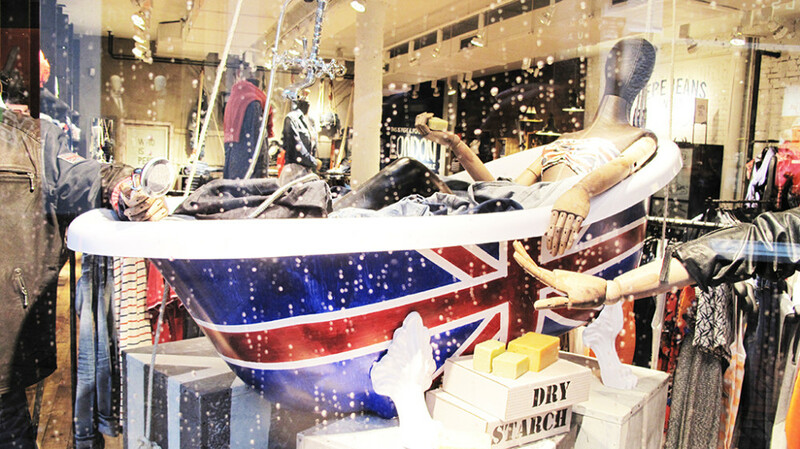 Pepe Jeans placed a bathtub in their window display with the London flag painted on it, making clear where the brand is coming from. 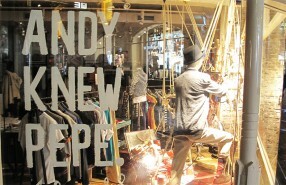 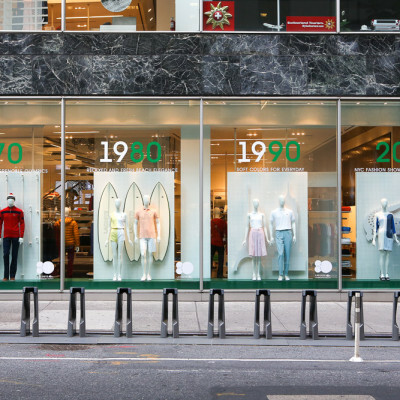 The male mannequin is dressed in the HARVEY Knit jumper with round collar and the GIG leather jacket. 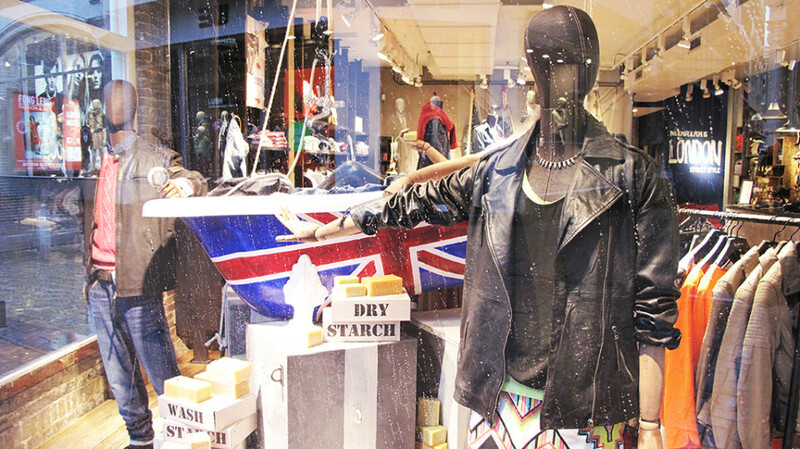 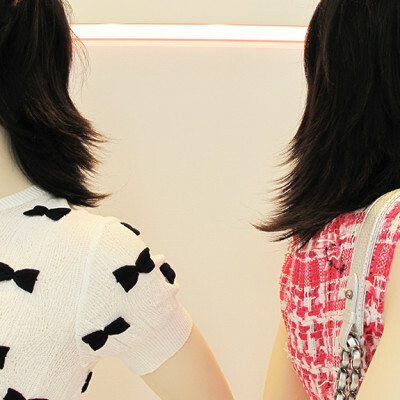 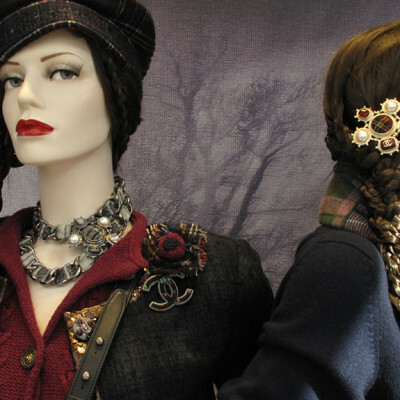 The female mannequin is dressed in the MEDWAY ethnic print short skirt and the WELLA leather biker style jacket.